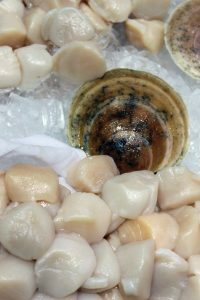 The Department of Fisheries and Oceans (DFO) confirmed Sept. 11 that the remaining 25 per cent of the 2018 and 2019 Arctic surf clam total allowable catch (TAC) will be made available to the current licence holder, Clearwater, with a view to identify a new participant for the 2020 fishery. DFO said this decision will allow for the economic benefits to remain in coastal communities while it continues to work to broaden access to this fishery. “In order to move forward on implementing enhanced access and promoting reconciliation, we will be launching a new Expression of Interest process to identify an Indigenous entity to hold a fourth license for this fishery in the spring of 2019, so that the participant can begin fishing a new license in 2020. An independent third-party will evaluate the submissions received. Further details on this process will be made available in due course,” DFO said in a press release. 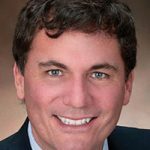 In a related matter, on Sept. 12, Conflict of Interest and Ethics Commissioner Mario Dion reported that he has found former Fisheries Minister Dominic LeBlanc to be in conflict of interest related to his decision to pursue issuing an Arctic surf clam licence to the Five Nations Clam Company. Federal Fisheries Minister Dominic LeBlanc. I had to determine whether Mr. LeBlanc contravened subsection 6(1) and section 21 of the Act. Subsection 6(1) prohibits public office holders from making a decision that would place them in a conflict of interest. As established in section 4, public office holders are in a conflict of interest when they exercise an official power, duty or function that provides an opportunity to further their private interests or those of their relatives or friends or to improperly further another person’s private interests. Section 21 requires them to recuse themselves from any discussion, decision, debate or vote on any matter in respect of which they would be in a conflict of interest. As Minister of Fisheries and Oceans, Mr. LeBlanc was exercising an official power, duty or function when he made the decision to pursue the proposal from the Five Nations Clam Company for the Arctic surf clam licence. His decision provided an opportunity to further the private interest of Mr. Thériault, whose compensation by the company depended on it being granted the licence. As a first cousin of Mr. LeBlanc’s spouse, Mr. Thériault is his relative under subsection 2(3) of the Act, which defines relatives as persons related to the public office holder by birth, marriage, common-law partnership, adoption or affinity. Although I have the discretion to limit the scope of this definition, I found no reason in this case to do so. Mr. LeBlanc was aware of Mr. Thériault’s extensive involvement in the fishing industry. He was also aware of his family relationship to Mr. Thériault when he made the decision to pursue next steps in issuing the licence to the Five Nations Clam Company. In fact, Mr. Thériault raised the licencing issue with Mr. LeBlanc prior to the decision and Mr. Thériault’s name appeared on the proposal submitted to Fisheries and Oceans Canada and read in full by Mr. LeBlanc. I therefore found that Mr. LeBlanc contravened subsection 6(1) and section 21 of the Act. The Association of Seafood Producers (ASP) has added its voice to those protesting on speculation that the federal Minister of Fisheries is giving out sea cucumber quota to a company in the province, in violation of fleet separation, among other reasons. “If this is true — and given there are no denials we have every reason to be concerned — then it is wrong, on multiple grounds,” says Derek Butler, Executive Director of the Association of Seafood Producers. Butler says DFO’s long-standing policy is that companies like his members cannot own inshore quotas. 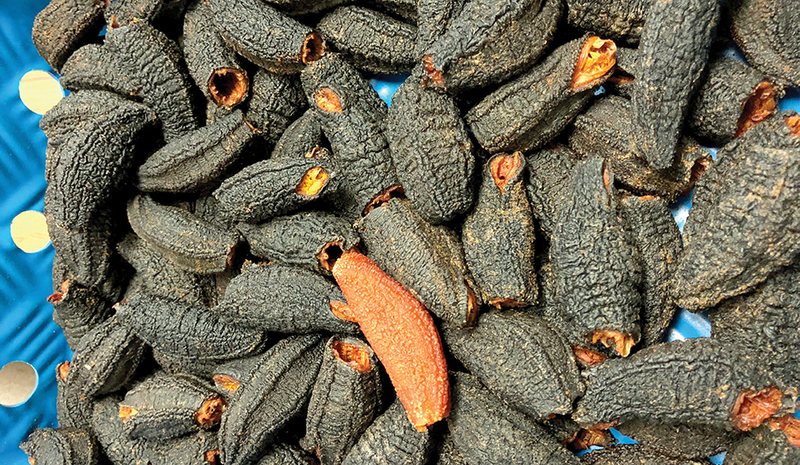 The FFAW and others have gotten wind and already spoken out opposing a DFO proposal to assign sea cucumber quota to an aboriginal partnership with Fogo Island Co-operative. Butler says ASP is on the same page in opposition to the idea. “Giving this quota to a company under the guise of something else does not change what it is. It remains wrong,” said Butler. Butler says using quota in this way also creates unfair advantages for companies that can then use the new quota as leverage for other resources on the wharf. Butler says if this comes to pass, then all ASP members in the sea cucumber business should have quota assigned to them, and that should then extend to other species. “It really is the thin edge of the wedge. If one company is given quota, then all companies should be given quota. What’s fair for one is fair for all,” says Butler. In late August, the Government of Canada rolled out changes to the employment Insurance (EI) system aimed at addressing the serious challenges faced by workers in seasonal industries. The Federal Government said it would invest approximately $189 million to implement a new pilot project to provide up to five additional weeks of EI support to eligible workers in seasonal industries in 13 targeted regions. The additional five weeks of benefits will be available to eligible workers in seasonal industries who start a benefit period between August 5, 2018 and May 30, 2020. It also said it would provide up to $41 million over two years to all provinces and territories through Labour Market Development Agreements (LMDAs) to provide skills training, wage subsidies and employment supports for workers in seasonal industries. Through the new pilot project, an estimated 51,500 workers in seasonal industries will benefit from the extra weeks of EI. 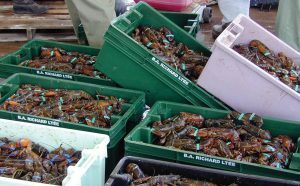 Stephanie Nadeau, President of the Lobster Company, said she had to lay off 25 per cent of her workers after orders from China stopped in July, due to tariffs on American lobsters, SeafoodNews.com recently reported. The company has a location in Canada as well and can still ship live lobster from its Canadian location in southwest Nova Scotia. “I’ve really focused my business on China, so this really hurts me in particular,” Nadeau said. The Lobster Company has built up a strong logistics business. Founded in 1991, it grew from serving a few local customers out of a barely operational pick-up truck to having operations in two countries, 25 employees and nine trucks. In recent years they have shipped millions of pounds of lobster, with a strong focus on Asia. The Federation of Independent Sea Harvesters of Newfoundland and Labrador (FISH-NL) is calling on the federal Department of Fisheries and Oceans to once again hold direct consultations with inshore harvesters. DFO held a series of 20 outreach meetings around the province in the fall/early winter of 2017/2018 to hear directly from harvesters. Contacted in early September, a DFO official in St. John’s wouldn’t say whether direct consultations would be held again this coming fall/winter. The last meetings were hosted by DFO’s John Lubar, DFO’s director for the Southern, Western and Straits Area, and Ron Burton, director for eastern Newfoundland. Both Lubar and Burton told harvesters at the meetings that their concerns would be outlined in a report that would be released publicly following the consultations, which wrapped up in February, but a report has yet to be produced. DFO’s Maritime Region announced earlier this summer a series of public meetings in Nova Scotia about proposed changes to the federal Fisheries Act, although no such meetings will be held in Newfoundland and Labrador. Saulnierville, N.S.-based Comeau’s Sea Foods Limited recently announced that after a request for proposal was tendered, a contract has been signed with Astilleros Armon shipyard in Vigo, Spain for the construction of a 50-metre frozen-at-sea scallop harvesting and processing vessel. This vessel will be added to Comeau’s current fishing fleet. The cutting of steel and setting of the keel is scheduled to begin in the next few months and this will take place at the Astilleros Armon shipyard. Anticipated construction of the vessel is scheduled to last 20 months with expected delivery in the spring of 2020. Noël Després, President and CEO of Comeau’s Sea Foods Limited stated that this vessel will provide a new harvesting platform that will enable Comeau’s Sea Foods Limited to continue supplying superior quality MSC certified Comeau scallops for years to come. The vessel will be named the Lady Comeau III after Thérèse Comeau, the wife of Comeau’s Sea Foods Limited founder, Bernardin Comeau. The Newfoundland and Labrador snow crab fishery was recently re-certified by the Marine Stewardship Council (MSC). The snow crab fishery was first certified in 2013. It was the 200th fishery to be MSC certified and is both the province’s highest value fishery and one of Canada’s most valuable. The fishery operates in four areas and uses baited conical crab traps. Harvesting starts in the early spring depending on the area and fishing season. Weather, particularly ice, plays a large part in determining the start of the season, which is timed to avoid the mating period and reduce the catch of soft shell crab. The Government of Canada and the province of New Brunswick recently announced a repayable contribution of just over $1 million to Miscou Fish Products Inc. and the Canadian Crab Packers Associates Limited for new equipment and technologies to improve the efficiency and effectiveness of their processing operations. The contribution derived from the $400-million Atlantic Fisheries Fund (AFF), focused on growing opportunities and increasing market value for sustainably sourced, high-quality fish and seafood products from Atlantic Canada. On May 25, 2017, fire destroyed the seafood processing facilities of Miscou Fish Products, located on Miscou Island in northern New Brunswick. A decision was made to rebuild the plant and acquire state-of-the-art processing equipment and implement innovative processes to bring the company at the forefront of quality standards and automation to meet market demand for seafood products. This project includes the acquisition of this equipment to develop a truly innovative plant in this remote community. This project will create jobs that were lost due to the fire and contribute to the economic development of the area. As well, the Atlantic Canada Fish Farmers Association also received an AFF investment of $460,000 for the purchase of equipment aimed at improving the effectiveness, quality and sustainability of New Brunswick’s fisheries and seafood sector. The funding will help the Atlantic Canada Fish Farmers Association with the purchase and installation of two real-time monitoring buoys equipped with sensors. Data collected from the buoys in Passamaquoddy Bay will be used to support decision-making for the aquaculture industry and for matters of concern to other marine users, such as fishers and tourism operators. 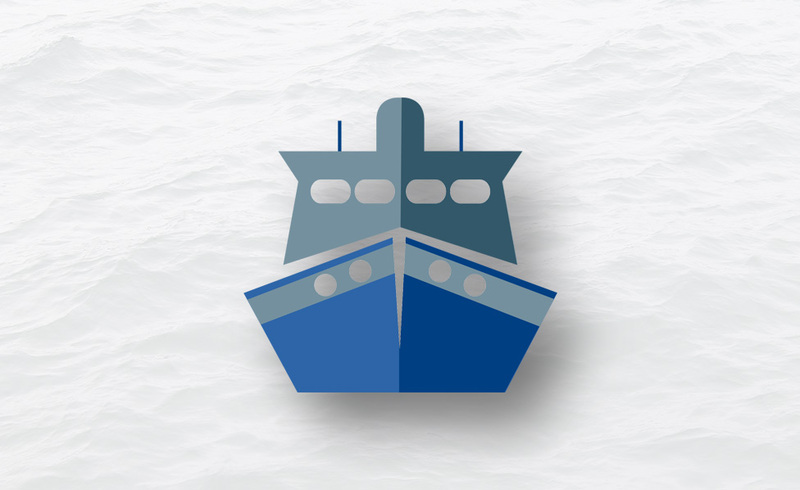 Mark Browne, MHA for the District and Placentia West-Bellevue said recent discussions regarding the sale of the Marystown Shipyard are ongoing and encouraging. Recent media reports indicated that Pluto Investments Inc., a Newfoundland and Labrador-based private equity company owned by Paul Antle, and Amar Group AS out of Norway, have partnered to turn the Marystown facility into an aquaculture service hub. “The sale of the Marystown Shipyard has been a priority for me since becoming MHA and a priority for our government. As MHA for the region, I have actively supported and encouraged these talks along with Premier Dwight Ball, the Town of Marystown, and Kiewit,” Browne said. “As recently as two weeks ago, the Premier and I convened a meeting with the President of Kiewit Offshore Services, along with the Mayor of Marystown and neighbouring MHA Carol Anne Haley, to underscore the provincial government’s desire to see the Marystown Shipyard site given an opportunity for stable and continuous employment again,” said Browne. The Governments of Newfoundland and Labrador and Canada recently announced they are investing more than $487,000 in the Wooden Boat Museum of Newfoundland and Labrador to enhance visitor experience through site renovations and improved interpretive displays while expanding partnership opportunities. The Winterton-based Wooden Boat Museum of Newfoundland and Labrador has the unique responsibility of preserving the rich history and culture of wooden boats in the province. 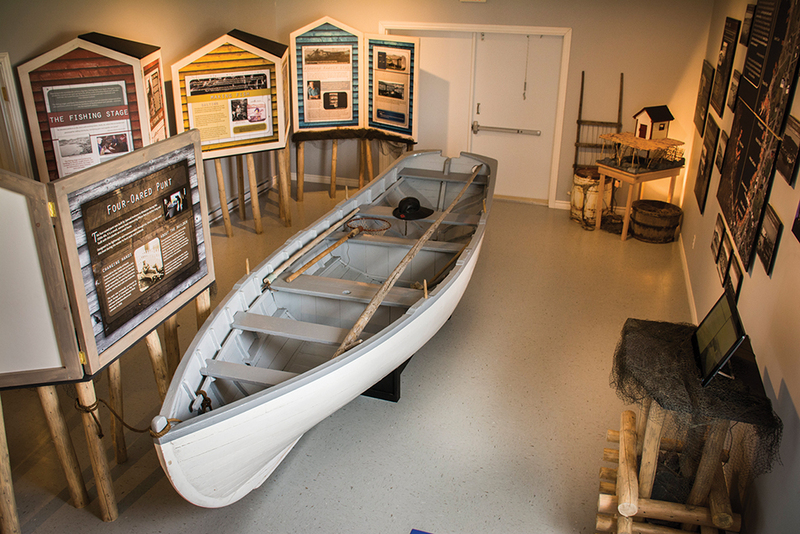 Through this project, the Wooden Boat Museum of Newfoundland and Labrador will develop new exhibits, programs, demonstrations and workshops that offer more to visitors. 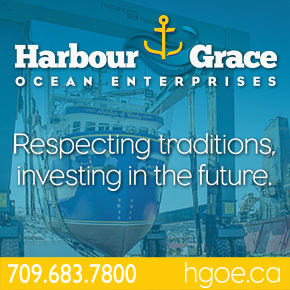 The project also includes the development and expansion of partnerships to include local artisans, other provincial attractions with heritage themes, other wooden boat organizations, as well as regional businesses and community groups. Mustad Autoline recently purchased Vetrhus Holding AS (now Mustad Sealine AS) earlier this year, through which the company acquired 50 per cent of the shares in Fiskevegn. Fiskevegn is a leading manufacturer of longlines and fishing gear, whereas Mustad Autoline is the market leader in mechanized systems for automatic longline fishing. Following the latest agreement, the companies will strengthen their customer/supplier relationships in certain business areas but will remain independent businesses. The Solheim family will continue to own 50 per cent of Fiskevegn through its company Helge Solheim Holding AS. Fiskevegn’s chairman, Helge Solheim, welcomed Mustad Autoline as a new 50 per cent owner in the company. “We have identified significant synergies between the two companies, although they remain competitors in some segments such as automated equipment for the longline fleet. Mustad Autoline does not have its own longline production and Fiskevegn sees a great potential here. This will further strengthen the positive development that Fiskevegn has seen in recent years,” Solheim said. Northumberland Fisherman’s Association (NFA) President Ronnie Heighton said he is outraged that the Nova Scotia government has provided $6 million to Northern Pulp for design of its proposed new effluent treatment facility. “It’s beyond belief that the same government that is funding a plan to discharge 70-90 million litres of pulp effluent daily into our prime fishing grounds in the Northumberland Strait thinks they can conduct a fair and unbiased environmental assessment,” Heighton added. Jill Graham-Scanlan, President of Friends of the Northumberland Strait (FONS) agrees. Graham-Scanlan says the provincial government cannot expect citizens to trust their ability to conduct an unbiased environmental assessment when they are funders and potentially owners or partners in the project. “The livelihoods of thousands of fishing families, now and in the future, are on the line,” says Graham-Scanlan. Nova Scotians can follow the work of the independent Nova Scotia Aquaculture Review Board, established as part of government’s approach to regulating the aquaculture industry, with a website launched August 13. The board is an independent body that will make decisions on aquaculture applications for new sites in marine areas, for expansions of existing sites and for the addition of finfish species to sites not currently approved to produce finfish. “We’re pleased to see the review board taking on this important independent responsibility,” said Keith Colwell, Minister of Fisheries and Aquaculture. The board will hold hearings in communities located close to areas where applications are made for aquaculture sites. Information about the hearings will be posted on the website. The website also provides information on how the public can participate in matters before the board and outlines the process of covering adjudicative proceedings for media. Within 30 days of a hearing, the board will issue a decision that will then be made public and posted on the website. No Replies to "On the Waterfront - October 2018"